Dr Charlotte Small is a Specialty Trainee in Anaesthesia and Pain Medicine, currently undertaking a PhD at the University of Birmingham titled “Restorative Environments for Rehabilitation: Interactive technologies for enhanced early recovery following critical illness and injury.” She is the Chief Investigator for the REVERE (Restorative Virtual Environments for Rehabilitation) research programme; a Defence Medical Services-funded series of four UKCRN portfolio-adopted feasibility studies developed in collaboration with the University of Birmingham Human Interface Technologies Team. Their research investigates the feasibility of exploiting interactive technologies to enhance patients experience and performance during early rehab on the ICU, including pain management, sleep and psychological well-being, post-operative breathing exercises and treatment of ICU Acquired weakness. The SRMRC have funded further developmental work to develop and evaluate interactive systems to aid communication for patients with tracheostomy (ICU-CHAT) and enhance patient experience and clinical decision making during weaning from mechanical ventilation (Weaning Dashboard). 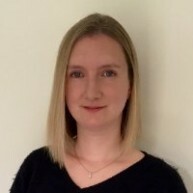 Having previously served in the Royal Air Force as an Anaesthetic trainee, Charlotte has undertaken research and quality improvement work into the management of acute trauma-related pain, including during aeromedical transfer, as well as the development of persistent pain, including phantom limb phenomena. Her future work in this area aims to enhance the detection and management of acute then persistent pain following major trauma in both military and NHS patients. 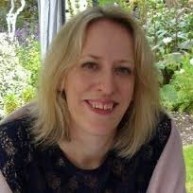 Dr Charlotte Small is the founding Chair of the West Midlands Trainee Research in Anaesthesia and Intensive Care Network (WMTRAIN) and was a founding Vice-Chair of the national umbrella organisation for anaesthetic trainee research networks, the Research and Audit Federation of Trainees (RAFT).